Day 7: The Media Agency of the Future: What will it look like in 20 years? How will we retain talent? How do we change for the digital revolution? When will we get Uber-d? 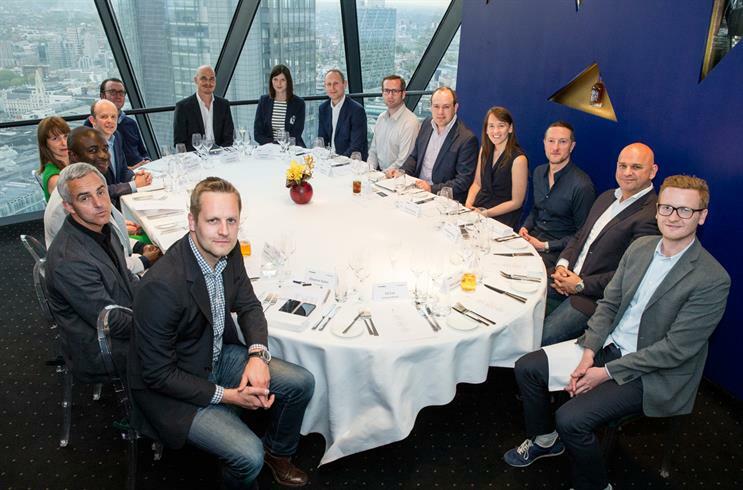 The future of media agency was never going to be straight forward...In partnership with The Trade Desk, Campaign gathered experts from top media agencies atop the Gherkin to discuss these points. The table started with a look at the current state of play. Programmatic has become crucial to the present-day media agency, generating consumer data and insight that makes it possible to deliver seamlessly a personalised message at the right time, at scale. In theory, at least. But its full potential has yet to be explored. Iain Jacob, CEO EMEA at Starcom Mediavest, said that "data at the centre of that is the goldmine" with the potential to improve dramatically customers’ experiences with brands, products and services. This will enable agencies to play a more strategic role in acquiring – and, crucially, retaining – customers for clients. 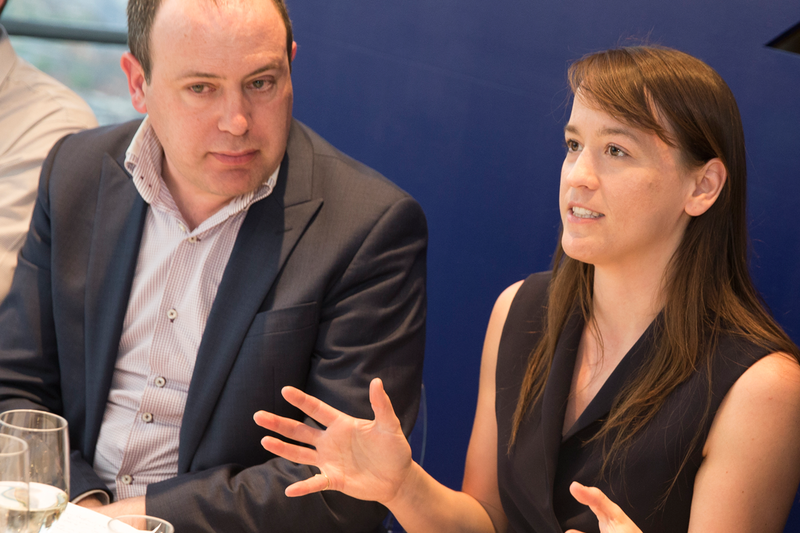 But there was also general agreement that these opportunities are often missed due to poor application of programmatic technologies – or as Chloe Hawking, deputy managing director at Accuen International, put it there's "lots of plumbing still going on". Chloe Hawking..."There's lots of plumbing still going on"
"Crude" ad targeting pesters rather than entices, said Jacob. He pointed out that consumers "are fed up with getting chased around the internet by various technologies of smart retargeting". Consumers want to engage with brands in different ways, so media agencies must stop "trying to shove the old model down people’s throats". Hawking warned that consumers often don’t want to think about brands at all – which presents a real challenge for the future. By creating more elegant and original user experiences, media agencies can start to overcome these points of disconnect with the consumer. Richard Morris, managing director at Vizeum, explained that digital allows "blurring of the lines between communications, commerce and product… allowing us to build experiences and extensions of those products, not just the advertising of those products". This redefines advertising, making it more of a service for the consumer by only offering them things they need – and in a creative way. The delegates agreed that content strategists and data insight teams needed to merge to make this happen. Sacha Berlik, managing director EMEA at The Trade Desk, suggested that renaming media agencies "Media-Based Strategy Consultancies" and having "a permanent feedback circle from strategy consultant to creative" would create this type of thinking. Morris noted that programmatic will also be crucial for clients to design and build products or services that meet customer need. He said: "It’s unbelievable how underwhelmed the collective client community is about programmatic." He insisted that they, too, need to be brought closer to the conversation. Iain Jacob pointed out that "if all agencies and all clients have access to exactly the same technologies, they need to add value somewhere", and it was agreed that while technology would drive opportunity for growth, ultimately, the people who pilot the technology and use it most effectively would win, so talent will still dictate competitive advantage for agencies. Adam Ray advocated "a hybrid of the individual, their technical knowledge, and how they fit into the overall culture" to find the cream of the future’s talent. Sacha Berlik..."There must be a permanent feedback circle from strategy consultant to creative"
It was suggested that the talent war will be even more of a challenge in 20 years with Generations Y and Z making up a large part of the workforce. "We have to find the smart ways of bringing in new people and you have to grow your own really, really well," said Dan Clays, CEO of OMD UK. He advocates a strong workplace culture to attract and retain talented individuals. Iain Jacob agreed, saying "it’s our responsibility to create the platforms that people want to join... we are a conservative business in a bizarre sort of way". 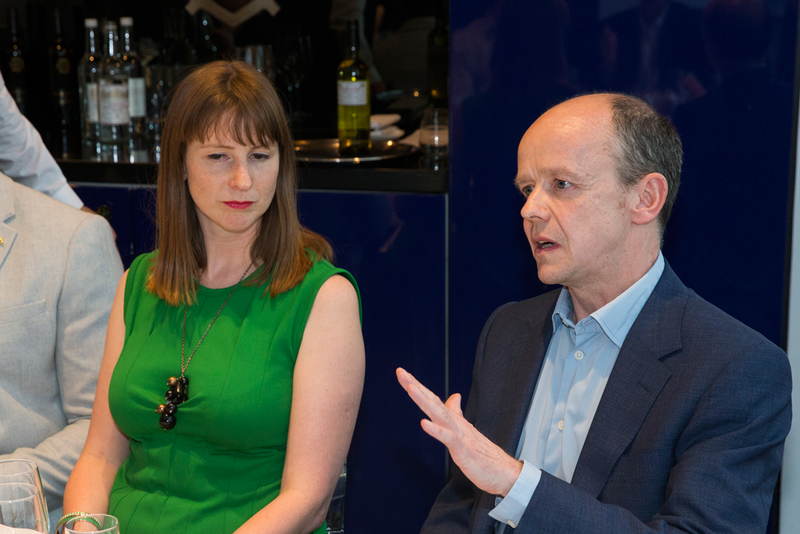 Ed Cox, UK managing director at Forward Media, pointed out that this generation "have a new set of requirements for where they work", often choosing to work at ambitious startups and moving around frequently. He said that to make the most of the talent available, media agencies will need to adapt their thinking that focuses too much on "aggressively building their own business" and instead be more generous with ideas and collaboration. Collaborating with new types of companies and start-ups will keep the talent pool agile, and bring different sources of creativity and combinations of skills to a client challenge. As Ed put it, media agencies will need to "incentivise people for assists, not just the goals that they score". Adam Ray, head of programmatic and partner at Mindshare, argued that "the existence of the agency is only going to grow in complexity". Nick Cudahy, director and head of digital strategy at All Response Media, agreed, saying that the number of content platforms will grow, including new technologies like augmented reality and wearables; in 20 years’ time, different types of content experiences must be created across more platforms. 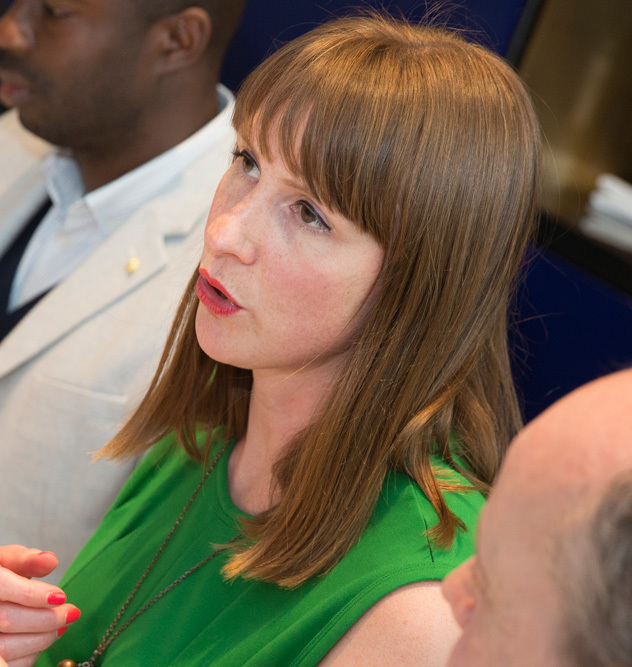 Clare Chapman, managing partner at Maxus, said the industry must diversify, saying "the agency of the future is bigger because we are all trying to do more". Cudahy believed that clients would need to work with "multiple partners" in the future to create content for each of the different platforms. Is the media agency about to be disrupted and replaced by specialists in those different areas? Ed Cox argued that the industry has yet to face the disruption – its "Uber moment" – saying that, "there is no reason for us to think that there couldn’t be a platform that connects clients with a resource bank of people, who are capable of executing their requirements." That disruption will come over the next 20 years "you have to start bits of your business which are going to bring disruption into your business and create a burning platform for yourself." Dan Clays agreed that "you can’t stand still," but warned about "creating confusion among your ranks talking disruption, disruption, disruption". There was a consensus that incumbency was a real issue for companies, and that developing or investing in other companies that are going to disrupt themselves was a real necessity, and should be an active part of the group policy. As the discussion came to a close, there was general optimism about the future of media agencies. "Is anyone else having fun?" asked Clare Chapman. "It’s challenging times, but what an industry to be in." Thomas Laranjo, managing director, Total Media: "We’re able to describe the future better than we are able to realise it." Dan Clays, CEO, OMD UK: "The business model is shifting. Let’s have an interesting and robust conversation about that, because it's our responsibility to the talent to set them up to succeed." Adam Ray, head of programmatic; partner, Mindshare: "We shortcut creativity to content. Applying original thought to user experiences is going to be a far richer and more valuable application of creativity." Iain Jacob, CEO EMEA, Starcom Mediavest Group: "I don’t expect there to be a media agency in the way it exists today." Chloe Hawking, deputy managing director, Accuen International (Omnicom Media Group):"We don’t do enough to educate people early on about why they should get into media." 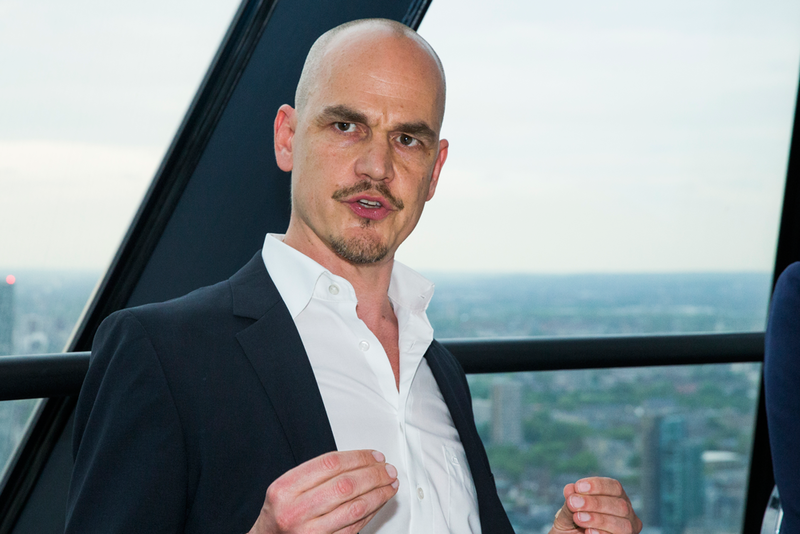 Richard Morris, managing director, Vizeum: "The march towards programmatic is irrefutable"
Nick Cudahy, director, head of digital strategy, All Response Media: "I see a world where a client won’t work with one creative agency - they’ll have to work with multiple partners." Fern Potter, head of search and biddable, Mediacom: "The next year will be quite interesting." Clare Chapman, managing partner, Maxus: "The agency of the future is bigger, because we’re all trying to do more." Ed Cox, managing director, Forward Media: "The media industry is different every year." Matthew Davies, managing director, ACCESS, MEC Global: "Tech and data is allowing us to play a greater role for our clients. We can start to play, not just at acquiring customers, but retaining customers." Sacha Berlik, managing director EMEA, The Trade Desk: "We don’t need to call it media: we are advertising and technology." Jonnie Byrne, business development director, The Trade Desk: "You’ve got to stitch all the data together...that’s the big challenge." 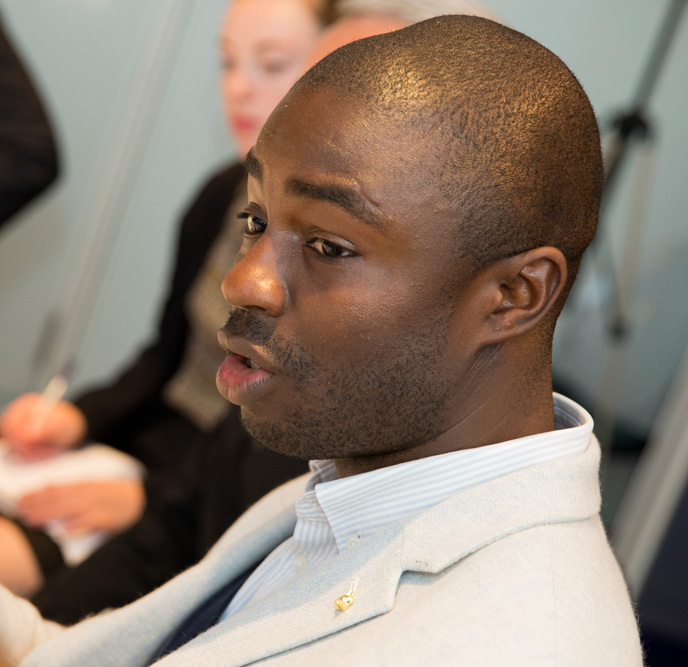 Hilary Umeh, senior account executive, The Trade Desk: "Bringing the right talent to a client problem is much tougher than it ever used to be." Day 23: Cannes winners remembered - Axe "Excite"
Day 2: Reality check - where the future at? 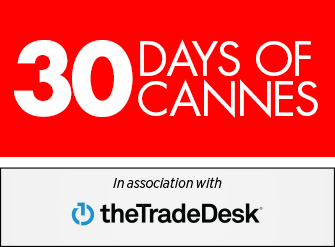 We're counting down the days until the Cannes Lions kick off – and we've got something new for you every day until the festival starts. Check back here daily for articles and insights – or just something to stoke your anticipation for the big event.